Woocommerce UPS Shipping - make signature required upon delivery'? Online stores pay a great deal of attention when it comes to delivering the products to their customers. However, in some special cases, they need to take special care while shipping. Especially, when there are products with some conditions based on their usage or even the time of delivery. This article shows how you can make sure to confirm the delivery when sending shipments across the globe. In this article, we will discuss WooCommerce UPS Shipping plugin and how using this plugin you can select various options to confirm delivery of your products. But before that, let us take a quick look at what the plugin has to offer. Now since you are well aware of the plugin and the features it provides, let us check out one of the business scenarios where you might need additional confirmation regarding the delivery of the product. Now, let us see how WooCommerce UPS Shipping plugin can help Samantha set up a delivery confirmation for her products. UPS is one of the best delivery fulfillment companies across the world. And the reason being their shipping services and the way they ship their products. Both domestically and internationally, UPS is well known for their speedy deliveries. However, apart from all this, USP also makes sure that the deliveries are not misplaced and there must be a check on who is receiving the products. Here are the delivery confirmation options provided by UPS. UPS will send you a mail as soon as the shipment is delivered. Note: Similar information is available when you track your package online. UPS will obtain the recipient’s signature or another electronic acknowledgment of receipt from the recipient when this option is selected. It will also provide you with a printed copy of the same. You may also view the recipient’s signature or electronic acknowledgment of receipt online. UPS will obtain the adult recipient’s signature and provide you with a printed copy. Adult recipients must be at least 21 years of age. You may also view the adult recipient’s signature online. If you require any additional information regarding official UPS delivery confirmation options, please visit the UPS official website. WooCommerce UPS Shipping plugin is the best shipping plugin for WooCommerce store owners. It not only offers unparalleled features to the store owners but provides them with all the advanced options directly from UPS. Once you install the plugin and activate it, store owners can enjoy all the benefits of this plugin. When it comes to delivery confirmation options, WooCommerce UPS Shipping plugin does it all. The plugin offers delivery confirmation on the product level. In other words, if you want to provide a delivery confirmation option, you need to set it from the product page individually. The image below shows the delivery options offered by the plugin. The delivery options shown in the image will offer the following functionality to the store owners. Using this option, no specific delivery confirmation will be selected. In other words, UPS will not send any notification of the delivery. If you require, you would have to check online to get an idea about the delivery. You can select this option if you do not require UPS to send any dedicated notification for delivery. By selecting this option, UPS will send an Email to the store owners regarding the delivery. It will contain all the details regarding the delivery including the date and time of delivery. All these details are also available online at UPS. If you select this option, the person who is receiving the order at the customer’s end will have to provide with either a signature or an electronic acknowledgment of receipt. The same will be provided to you with the electronic receipt and will be available online too. This option lets you enable the Adult Signature confirmation. Once this is enabled, the recipient will have to provide with the signature or an electronic acknowledgment of the receipt. It is worth noticing the age of the recipient must be above 21 years of age. As discussed in the above section, WooCommerce UPS Shipping plugin will provide different delivery confirmation options. However, in the case of Samantha, she requires only delivery confirmation with adult signature as she will be shipping wine. So, what she can do is select the option for Confirmation with Adult Signature for all her products in the edit products page. As soon as she selects the option, whenever the customer buys wine, the plugin will send the request to UPS that the shipment requires a delivery confirmation with adult signature. The image below shows the request sent by the plugin on the cart page. You can even check this by enabling the Debug Mode and checking the UPS Request. It will display whether the delivery confirmation is enabled or not. And it will also display the confirmation type selected for the package. In this article, we discussed how WooCommerce store owners like Samantha, can easily make sure their products are getting delivered in the right hands or not. 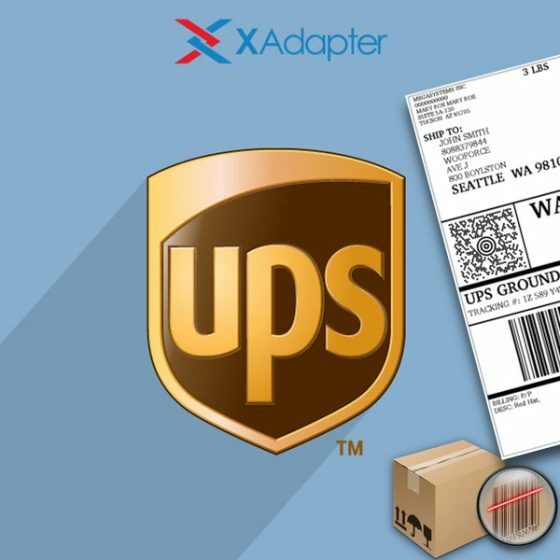 With the help of UPS Delivery Confirmation options and WooCommerce UPS Shipping Plugin, store owners can be relaxed about the delivery of their products. Also, some products require handling only by adults, so it will act as an extra measure to assure the delivery of the products across the globe. We’ll be adding this feature in the future, we don’t have a timeline when this will be available yet. WHen will you make this available for the USPS stamps.com plugin? I inquired back in January still now news.